Race Tech wants to give each of the riders on our Rider Support Team the best support and the best motorcycle or ATV on the track. Race Tech has partnered with the following companies to help build an even strong Rider Support Team. For more information about our Associate Sponsorship Program, please contact Race Tech Rider Support Coordinator, Sydney Ruge. FMF is the #1 off-road exhaust manufacturer and has one of the largest off-road and amateur support programs in the country. FMF is celebrating their 39th anniversary this year and has been focused on the grassroots of racing since 1973. Make sure you stop by www.fmfracing.com for more information on their exhaust lines and the new FMF apparel. Novik Gloves are the most comforatable and coolest looking gloves on the market. Click the links below to view some of the Race Tech Rider Support Team members from each genre. Ben Lamay is one of the top privateers each weekend on the pro tour. After earning national number 52 for the 2012 season, Ben earned a spot on the Rock River Yamaha support team. Ben grew up being one of the top amateur riders and is known as the most sucessful motocross and supercross rider to date from the state of Alaska. Chris has been a Race Tech support rider since 2007. He began riding when he was 5 yrs old and started racing shortly after and became an instant phenom when he began dominating most of the races he entered. As he grew up his resume began perking interests of some of large manufacturers. In 2005 Suzuki approached Chris to become a test rider and work with their R&D department on their new MX development. Chris now rides for the Rock River Yamaha team and is fighting hard to earn a two digit number for 2014. Minnesota born Dalton Carlson turned pro for the 2011 season with the AG Motorsports KTM team, during that season his best finish was an 18th at the Southwick National. Dalton earned national #91 for the 2012 season. He made the transition to Rock River where he raced a 450 for the outdoors in 2012, qualifying for 9 of 12 rounds. 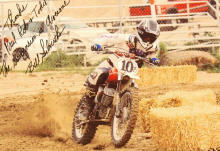 For 2013, Dalton raced the 250 class in Supercross and will be competing all summer aboard a Rock River 450. 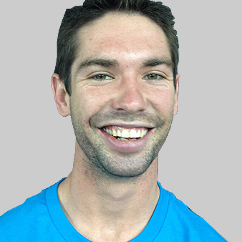 Nathan Skaggs is a veteran for the Spinechillers team. Skaggs, born and raised in Ohio, grew up racing local Arenacross as a kid. Having much success in his amateur days, Skaggs eventually landed a ride with the Yamaha of Troy squad. After spending time racing SX and the Nationals, Skaggs found a home in AX. He has been a top contender the past several years, and is a constant front runner in the series year in and year out. Willy Browning is another veteran on the Spinechillers squad. Growing up in Ohio, he's no stranger to Arenacross. WB jumped in to his professional career in the early 2000's, racing Supercross and outdoors, but has found his groove inside the Arena's the last few years. Willy is also known for his abilities on a pitbike, being the only rider EVER to sweep all three pro classes at the Las Vegas Mini Moto SX. Steven Mages grew up racing the Amateur National scene in the summer months, and the local Arenacross races during the cold Ohio winters. After coming on to the national AX scene in 2011 and notching a few AX Lites wins in his first year, Mages came out swinging in with the big guns in 2012. Steven had much success over the course of the season, mixing it up at the front of the pack with the top names in AX and we look for big things for him for select outdoor nationals this summer. Killy Rusk is a rising star on the AMA Supercross and Motocross Circuits. 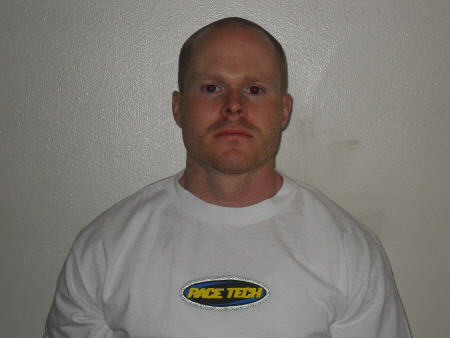 After earning national number 84 for 2012, Killy received a spot on the Rockwell/FirePoliceMX.com team. In 2012, Killy caught fire mid-way through the Supercross Lites West division earning his career best finishes in the main events on his Race Tech backed Honda 250f. A rising star from the Northwest region, Jason Potter has one of the best styles on the track. 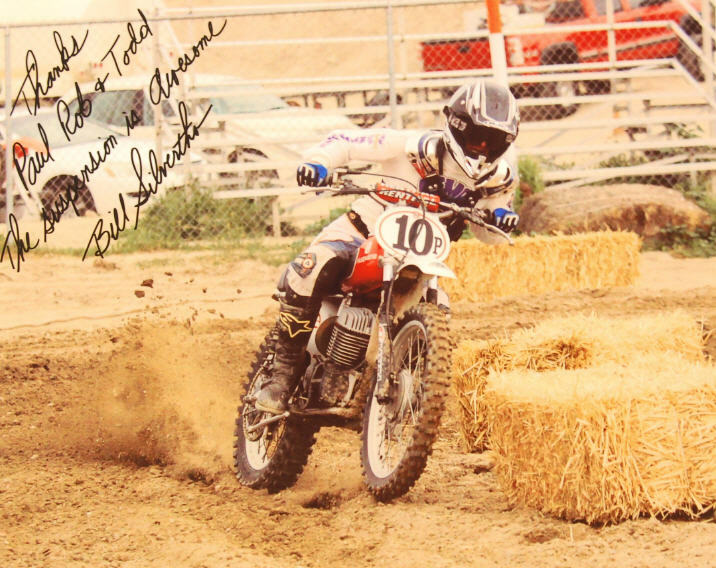 In 2010, Jason rode for the Rockwell/FirePoliceMX.com team and made his first main events of his young pro career. Jason was sidelined with a wrist injury in 2011, but returned to the Rockwell/FirePoliceMX.com team for 2012 to make a name for himself on the AMA Supercross tour. Jason will ride select outdoor nationals in both the US and in Canadian during the summer for 2012. Vince Friese has been around professional motocross and supercross for a few years and has become a consistant top 10 finisher inside and out. Left without a ride before the 2013 season, Friese turned to Race Tech for support. Friese was nothing short of amazed when he tested Gold Valves for the first time, "The setting Race Tech has made for me has been perfect all around. I'm looking forward to racing with it!" 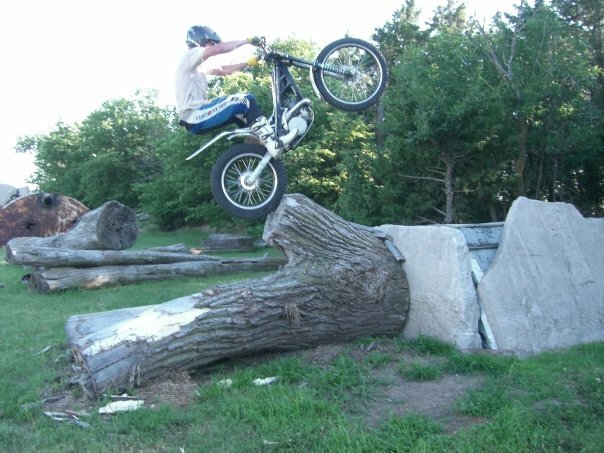 Derek Anderson started out as a BMX racer. After winning multiple state and national championships, Derek switched to motocross. After being a standout amateur, Derek turned pro as a privateer and earned national number 64 for the 2011 season. Derek missed the entire 2011 season due to a back injury. 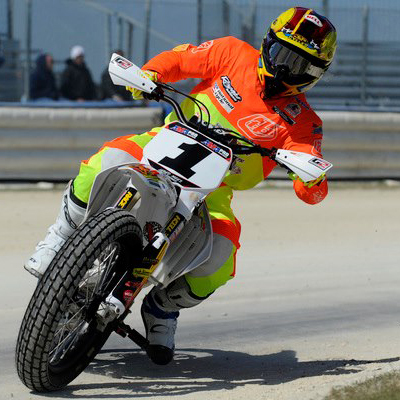 Always one of the most stylish riders on the track, Anderson is looking to remind people of his talent on the AMA National Tour for 2012. Teddy Maier was an amateur standout before turning pro. 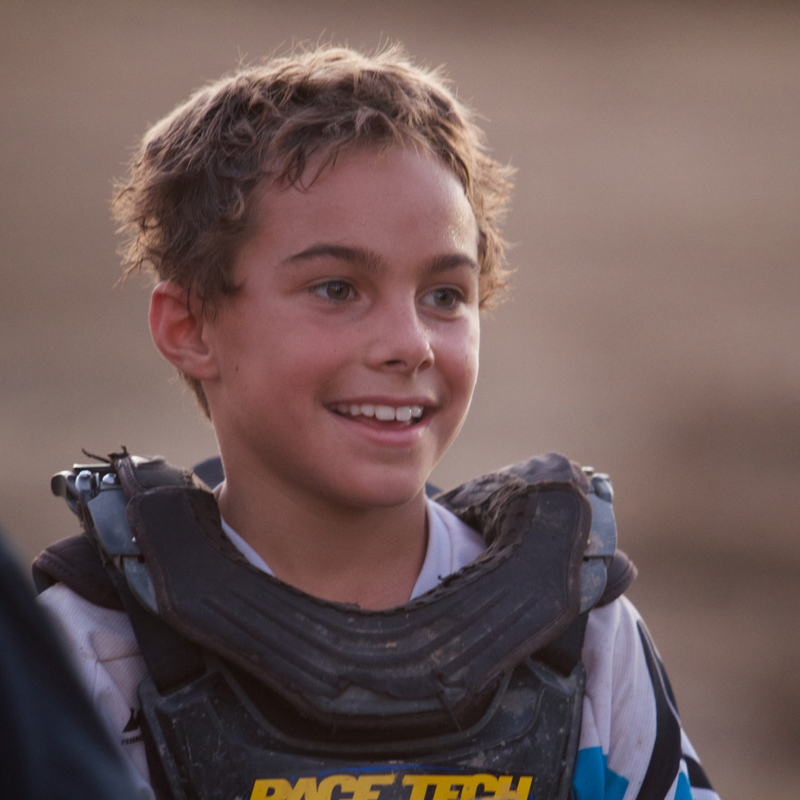 As a rookie, Teddy placed 8th place in the Eastern Regional Supercross Lites Division. After struggling with injuries the next few seasons, Teddy began competing in the AMA Arenacross Series during the winter months and the Canadian Nationals during the summer. 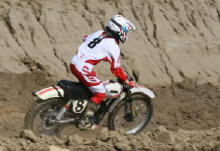 Teddy claimed the 2009 Canadian MX2 Class National Championship and placed 3rd in 2011 in the MX1 division. In 2012 Teddy is contesting the AMA Supercross Lites West Championship on a HyperX/Race Tech backed CRF250 and has consistently been one of the top privateers in the main events. Cody Gilmore is a former AMA Amateur National Champion and AMA Arenacross Rookie of the Year. To go along with wins on the AMA Arenacross tour in the Lites Class, Cody has numerous local and regional championships. In 2012 Cody is one of the top privateers in the premier division of the AMA Supercross Series. Kurt McCabe is a former AMA Arenacross Lites class champion and in 2011 he won the Bad Boys of Arenacross Series Championship. Kurt has qualified for Supercross main events and one of the fastest pros in the Midwest region earning multiple podiums throughout his career on the AMA Arenacross tour. 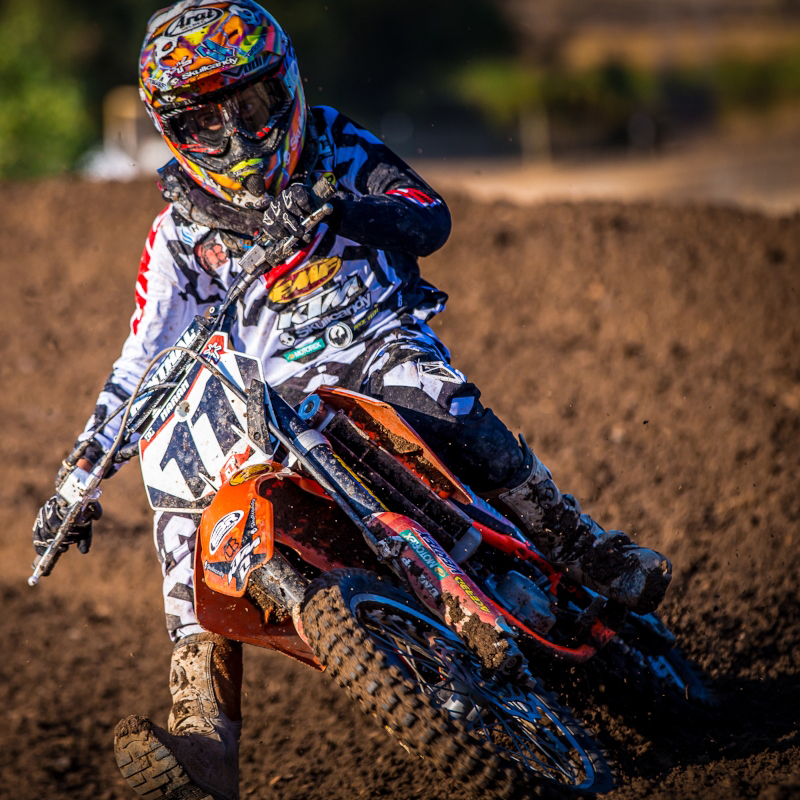 Preston Mull is a new-comer to the AMA Supercross and Motocross ranks, but is quickly establishing himself as a contender in the West Coast Supercross Lites division, as well as proving he can ride the 450 in the premier division while the series is out East. Dustin Pipes made a name for himself on the AMA Motocross tour with some great rides in the 450cc class in 2011. Riding the premier class in Supercross for 2012 as a rookie, Pipes has been improving each weekend and consistantly qualifies for the evening program. 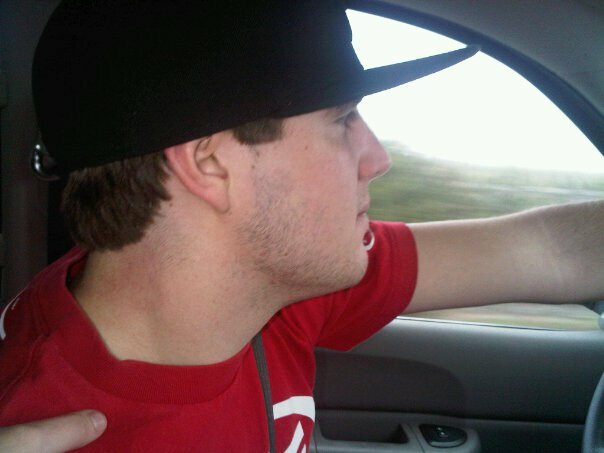 He'll look to improve upon his great rookie season outdoors in 2011 during the AMA Motocross tour in the summer of 2012. Brian Foster joined the Race Tech team for the 2012 AMA Supercross season. Brian is competing in the AMA Supercross Lites West division and is gradually gaining valuable experience. 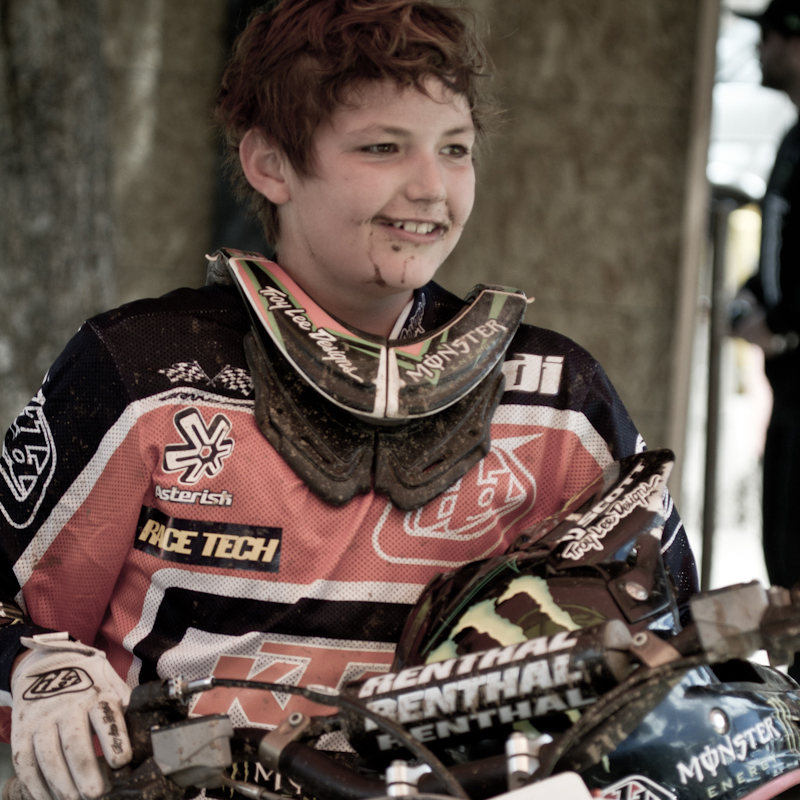 Foster will be competing in select motocross events during the summer of 2012 in the US and Canada. Kyle has been a Race Tech support rider since 2005. When Kyle was a young boy he started racing in the American Bicycle Association. He was a talented kid and managed to win his first national at the age of 8yrs old. 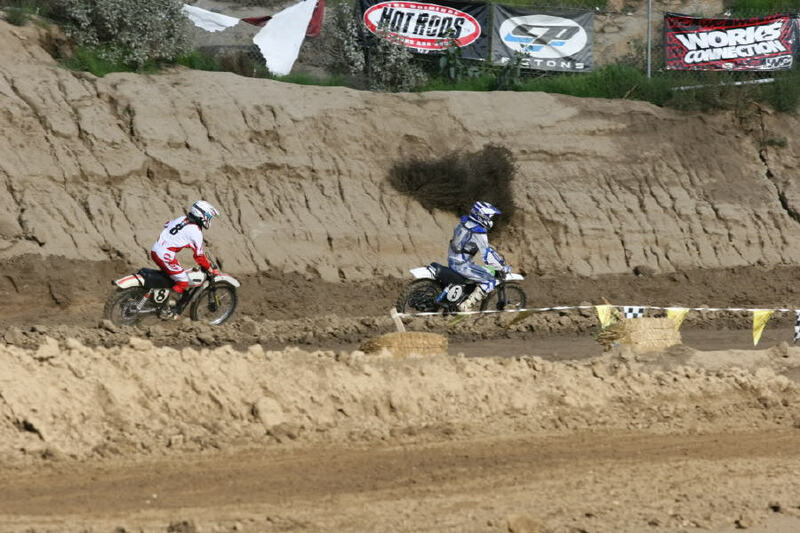 Kyle enjoyed racing bicycles but always had an aspiration to race dirt bikes. In 2001 Kyle was cast for a commercial for Centers for Disease Control and finally saved enough money to purchase his own KX65 and started racing. Kevin Cockayne is the two-time and defending World Enduro Canada Cross Country Series Champion, and one of the top offroad racers from Canada. Kevin rides for Mission Cycle, Race Tech's leading Service Center north of the border. Kevin will attempt to defend his #1 plate on a KTM 350 this summer. 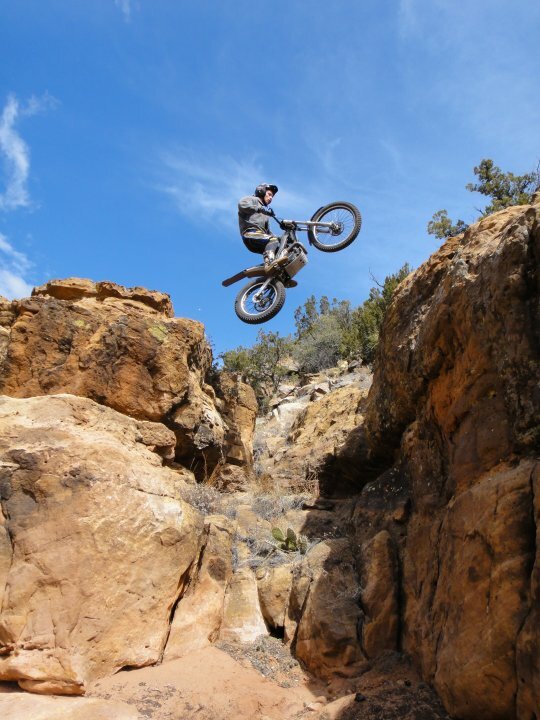 Cody Schaefer from Colorado has been making waves in the offroad world for awhile now. Be it the WORCS, WEBE, RMEC, or ISDE; Cody has been putting his Race Tech backed Kawasaki up front against the best racers in the world. Cody is supported by Race Tech dealer Dango's Damping. 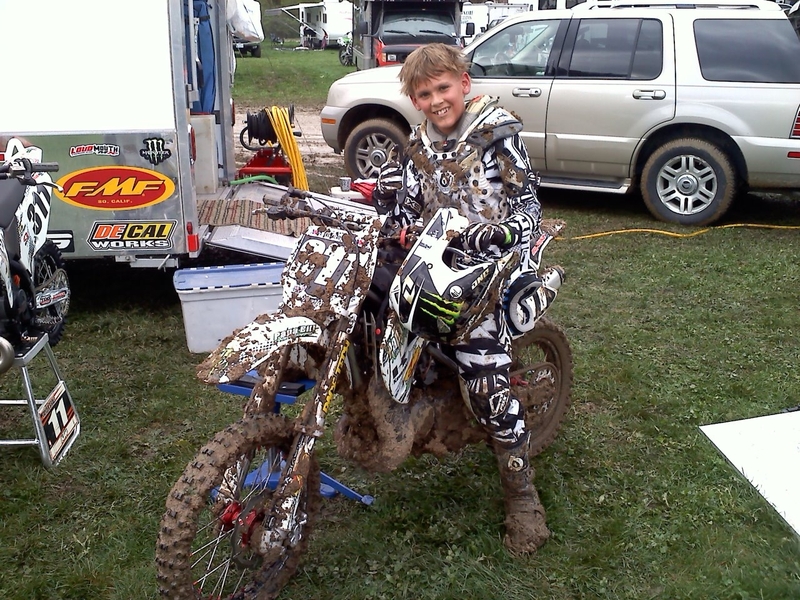 Seven year old Hunter Yoder is one of the newest members to the Race Tech Amateur Support Team. Although one of the youngest riders on the track, you will likely spot Hunter flying high over the massive doubles at any track he attends. Hunter has been a huge asset to the RT team providing valuable testing on his Cobra 50cc machine. Heading into 2012, Hunter will be competing in his first Amateur National events, where we look for him to be an immediate threat for championships. Coming off multiple series championships in Southern California, Hunter Yoder is a name to remember for the future and a kid even our top pro riders enjoy watching today. 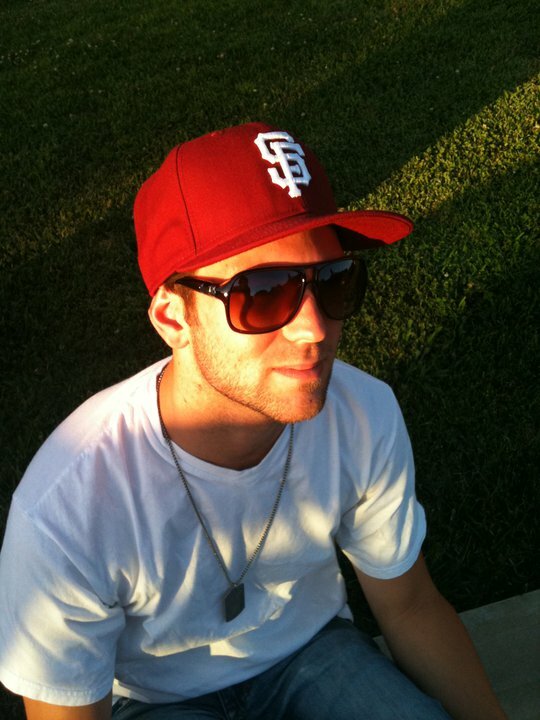 Tanner Amarillas hails from Gilbert, AZ where he began riding at age 4. At just 12 years old Amarillas has impressed since coming onto the national scene in 2007. Tanner has qualified for Loretta Lynn's every year from 2007-current, notched 50 top 5 National finishes, 30 top 3 finishes and captured 2 National Titles in his short time racing. We are happy to have Tanner on board and helping us test and tune our suspension in the 85 class, and look to see big things from this mini ripper in the future. Aiden Tijero is an 11 year old ripper from Danville, CA, and is one of the top amateur up and comers in the country. 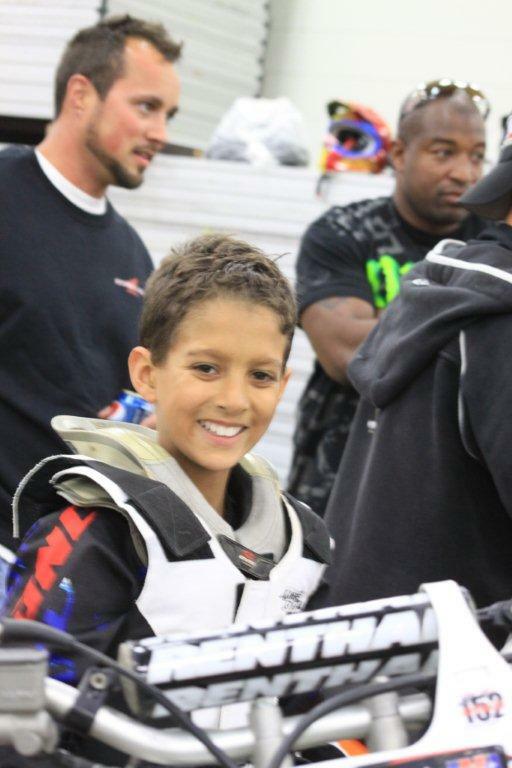 Having only been racing since the age of 7, Aiden has racked up quite the list of accomplishments. In his short 3 year span, he has racked up over 10 National wins, including a podium at Loretta's. 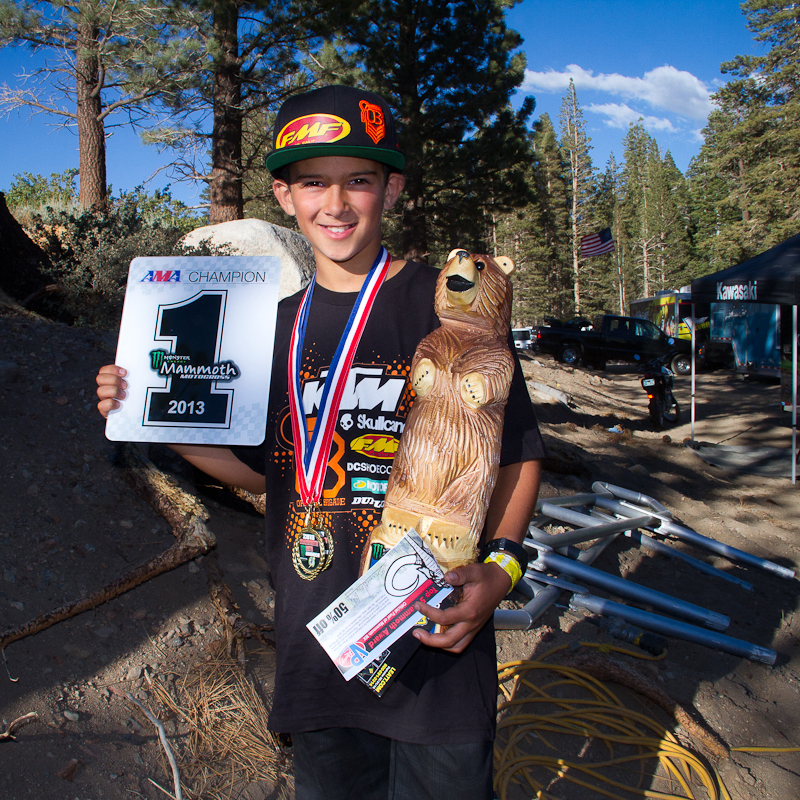 6 months in to 2013, Aiden has already been on a roll, winning a title at Mammoth, and 3 titles at Ponca City. Along with that, Tijero has been selected to represent the USA at the JR MX World Championships in the Czech Republic in August 2013. Keep your eyes on the #587, he's a rising star. Tayler Grall hails from the Midwest, and at 11 years old; already has quite the resume. In 2011, Tayler finished on the podium at the Amateur Arenacross World Finals in Las Vegas in both the 50 and 65cc divisions. Tayler also claimed the NCIMS Championship and challenged for wins at each stop of the North Region on the AMA Arenacross Tour. 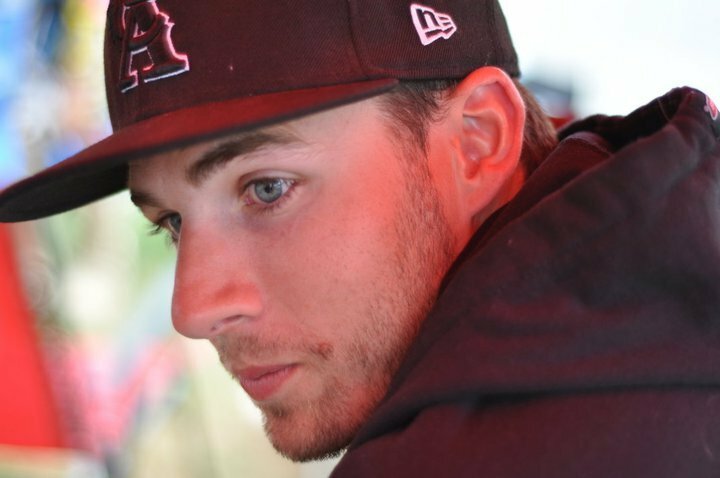 For 2012 Tayler will focus on an Amateur Arenacross Championship, the NMA Grand National Championships, and Loretta Lynn's. Ohio's Zach Easter is an up and coming rider, best known for his performances inside the confines of an Arena. Zach has been following the AMA Arenacross series, and is one of the best up and coming Arenacross riders in the country. He has competed at the Vegas World AX Finals the past few seasons, and captured a AMA Amateur National Arenacross title in Vegas in 2012 aboard his Spinechiller's / JBR / Motosport KTM. 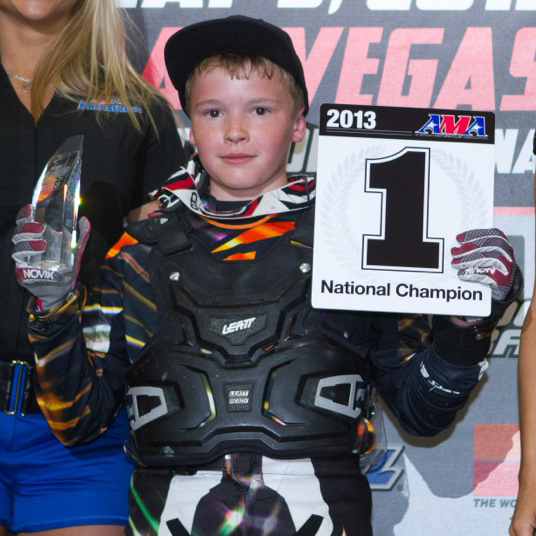 Izaih Clark is 11 years old and already an Arenacross World Finals Champion in the 65cc class. In 2011, Izaih finished inside at each of the Amateur Nationals he participated in and took home victories at multiple stops of the AMA Arenacross Tour in the North Region. Izaih has set his sites on an Amateur National Championship for the coming years. Andre Ochs captured the AMA Horizon Award in 2012 aboard Race Tech Suspension. The AMA Horizon Award is given to the rider who shows the most promise for a sucessful professional career and is the most coveted award available for Amateur Roadracing competitors. For 2013, Andre will head to the AMA Pro Roadracing Series as a rookie. Javelin Broderick is a rookie in AMA Pro Road Racing, but don't let his lack of AMA experience fool you. Javelin is coming off of multiple titles in WERA West and has been a championship contender in every series he's competed in since 2009. Broderick, with Race Tech's support, looks to use 2012 as a learning year and sneak into the top 10 by the end of the season. Jimmy has been a Race Tech support rider since 2006. Jimmy was introduced to racing at a young age by his father, a fellow racer, who was a stand-out in the Flat Track community. When he was finally big enough to throw a leg over a bike Jimmy started racing. When Jimmy turned 16 he turned pro. He did better than most expected and has been living his dream ever since. 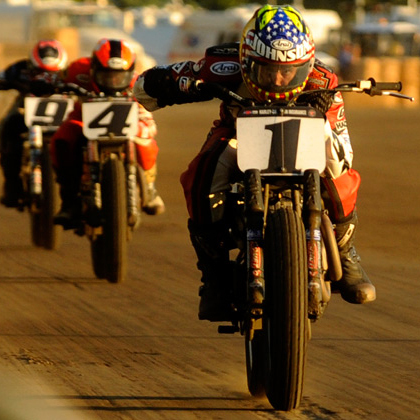 New Jersey's own Jake Johnson is one of the top Flat Track riders in the world. The 2002 rookie of the year, won his first AMA Pro Grand National Championship, a coveted award in the Flat Track world. 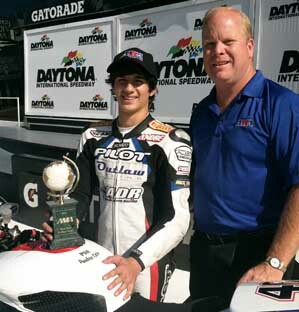 Prior to that Jake was a stand out in the AMA Pro Singles class, where he won 2 championships. Johnson rides for Southland Racing, a Race Tech center owned and operated by Jimmy Wood. Jared Mees is another Southland Racing / Race Tech supported rider. Jared is an unbelievable talent on a flat track motorcycle. Having previously won GNC Singles Championships, 2012 was a huge season in Jared's career, capturing the Overall Grand National Championship, as well as the GNC Singles Championship. Jared managed to land inside the top 10 in every round but 1 throughout the 2012 season. Sean has been a Race Tech support rider since 2010. Born in NYC and son of a legendary dirt tracker. Sean started riding at the age of 5. He picked it up quickly, as expected. 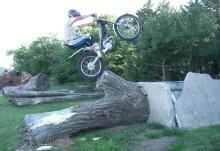 "The Godfather of Freestyle Motocross"
Mike has been a Race Tech support rider since 1998. Mike has been at the forefront and of the FMX movement since it begun in the early 90's. Watching Mike grow and develop from a young free spirited teenager to the gentleman he's become today has been a remarkable journey. 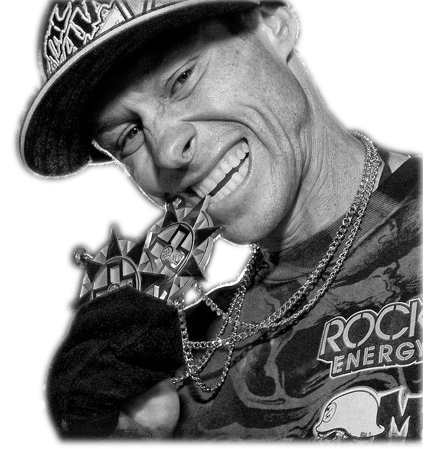 A pioneer of the freestyle motocross world, Brian Deegan has been one of the most influential riders in FMX. 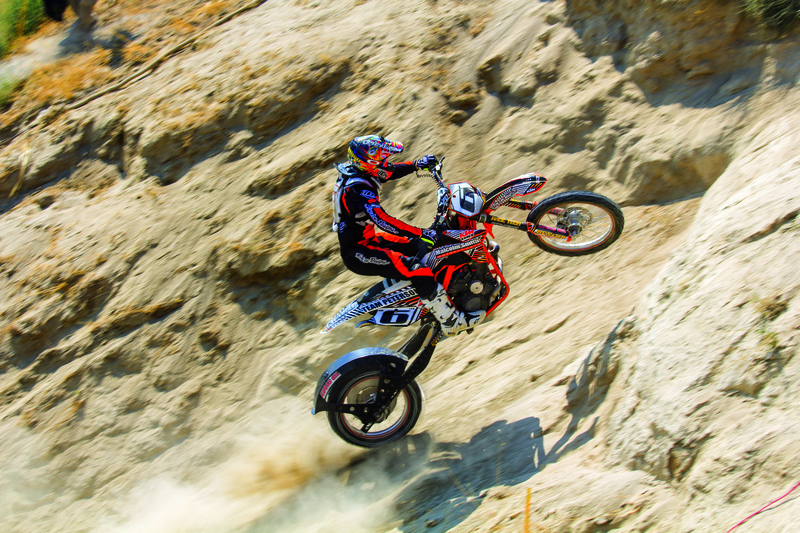 He has 13 X-Games medals and is the most decorated FMX rider in X-Games history. Deegan is also the only rider to compete in every X-Games event since the inception of X-Games. 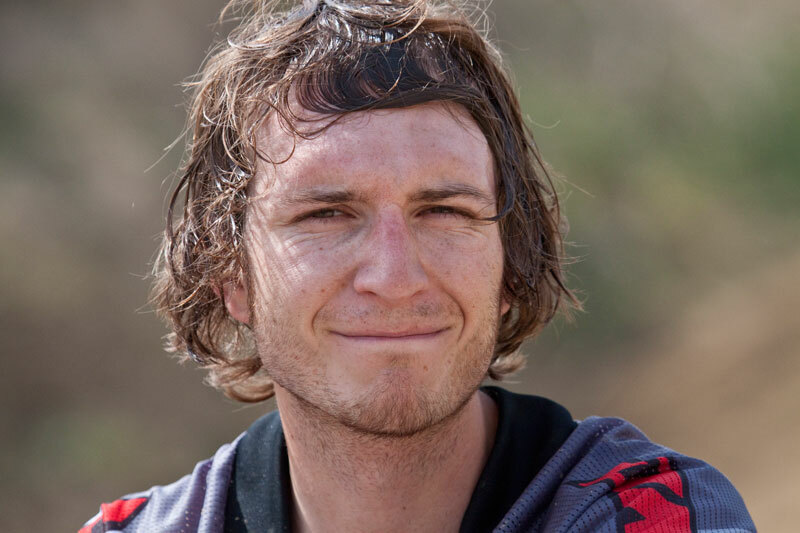 5 years ago if you told Bryce Hudson he was going to be an X-Games Gold Medalist in 2013, he may have looked at you like you were a bit off your rocker. Once a photographer and weekend FMX warrior, Hudson decided in 2011 to get serious about making a career out of riding freestyle. Hudson was invited to the 2013 X-Games Brazil, where he beat out a Step-Up legend, Ronnie Renner for Gold. Hudson will be one to watch as he abuses his Race Tech suspension hitting ramps and clearing step up bars in the near future. Jolene Van Vugt - From "Nitro Circus"
Jolene has become the most well known female Freestyle Motocross riders in the world due to her participation in the Nitro Circus TV show. Her participation in the show has helped her develop into one of the most humble and influencial females in action sports today. Destin has been a Race Tech support rider since 2005. 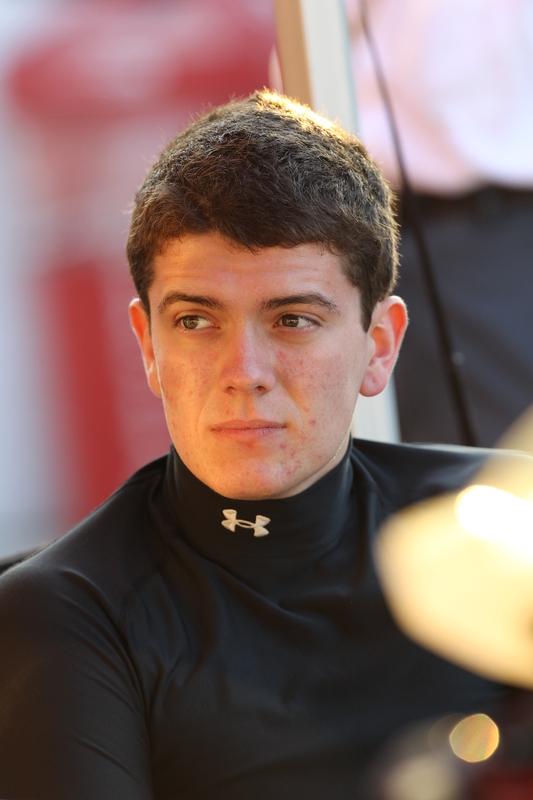 As a kid, Destin started riding and racing local races when he was 4 years old. He continued racing until he was given the opportunity to hit a ramp for the first time at the age of 15. That day changed Destin's life forever. Colin has been a Race Tech support rider since 1997 and was the very first freestyle rider supported by Race Tech. Colin began riding at a young age but was never interested in the, so called "Preppy", race scene. His "rough around the edges" appearance and rebellious ways led him to the FMX lifestyle. Known as one of the top female racers in Australia, Mackenzie Tricker divides her time between racing in the land down under, as well as in the USA. 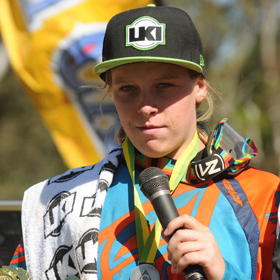 Mackenzie has 6 national championships to her name, including a 2013 championship in the Women's (14 ) class at Loretta Lynn's. Along with her 2013 LL title she raced the WMX Triple Crown, a series the runs along side the AMA Pro National series. Mackenzie showed amazing speed throughout the three rounds, landing herself on the podium in 4 out of the 6 motos, and finishing 4th overall in the series points. Keep an eye out for Mackenzie in 2014. Sara Pettersson was born in sweden where she grew up riding and racing. In 2009, Sara moved into the pro ranks competing in the 2009 World Championship series. She spent her first two years of GP's coming up to speed, but found herself inside the top 10 with a 5th place overall in the World Championship. In 2012, Sara came to the USA to compete in the WMX championship that runs along side the AMA Pro National series, finishing 6th overall with a best finish of 2nd! 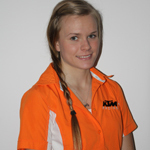 For 2013 Sara competed aboard a Munn Racing KTM, finishing 5th in the WMX Triple Crown missing the podium by a mere 6 points! Watch for Sara as we're sure she will come out swinging in 2014. Team Peterson Racing is the most sucessful Hillclimb team on the planet. In 2012 Bret Peterson claimed 3 championships for the team. Chelea Saylors captured another championship, and Austin Fox was in the top 5 in multiple classes. Bret Peterson said, "The suspension Race Tech has provided is nothing short of amazing. To be able to hit straight up cliffs at the speeds we do going straight up, and having the bike ride right through them has been the biggest turning point for my riding and my results. Race Tech's suspension has changed Hillclimb racing." Aaron has been a Race Tech support rider since 2011. As the stunt riding scene grew into a national phenonmenon in 2005 a rumor began to circulate among the vetrans about a 13yr old kid who could ride at a competitive level. No one had really seen this so called "Child Prodigy" in person or online for that matter, so the rumor had been dismissed as a mere rumor until later that year.